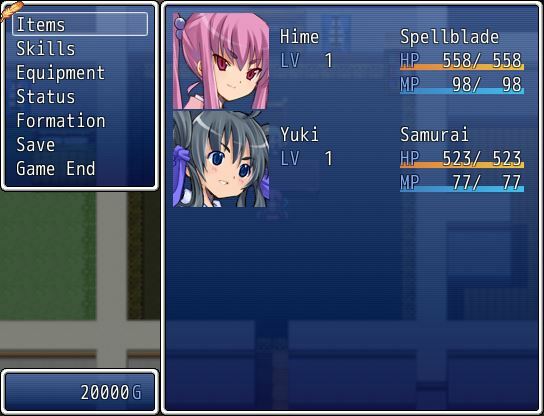 In this tutorial, we will be writing our own menu cursor using a custom picture of your choice. 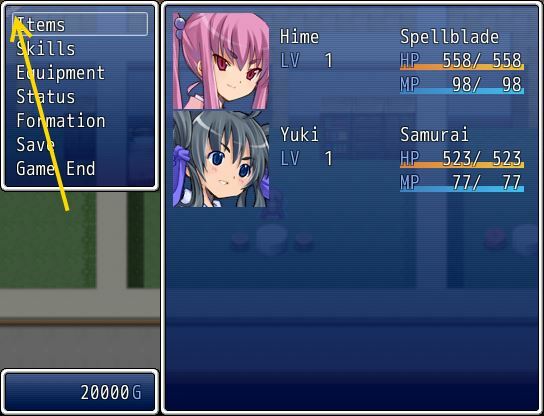 By using a picture, you can design your cursor in an image editor such as Photoshop or Paint and then load it into the game. It’s a bit small, but it should be good enough. It is important to determine where you want to store your cursor image. You could simply throw it in the Graphics/Picture folder, but I would consider placing it in the Graphics/System folder. For this tutorial, I will call my cursor image “menu_cursor.png”. In order to draw a picture on the screen, we need an object to hold it for us. I will write a separate sprite class for it. Should be straightforward: you have a constructor that takes a viewport and a window. The window is there so that the cursor can access some properties of the window that it is associated with. We also hardcode the name of our image. The update method will invoke whatever the sprite class needs to do, and then updates the bitmap. Because we have stored the image in Graphics/System, we can simply use the Cache.system method to get a copy of our cursor image. Test your game. 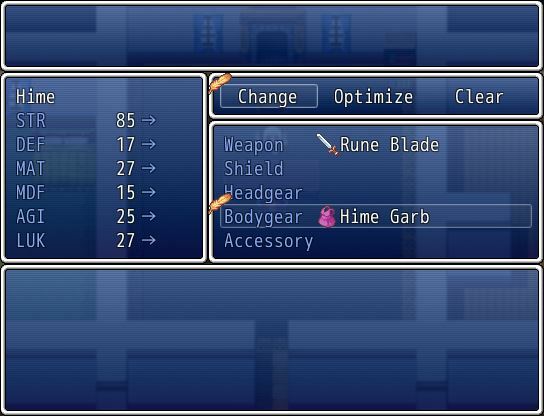 Open the party menu and you should see your cursor at the top-left corner because we didn’t specify a position for our sprite so it defaulted to (0, 0). Well, the cursor is there. But it’s underneath our window. Why? When we initialized our sprite, we didn’t specify a z-value either. The window has a z-value of 100 by default, while sprites have a z-value of 0 by default. 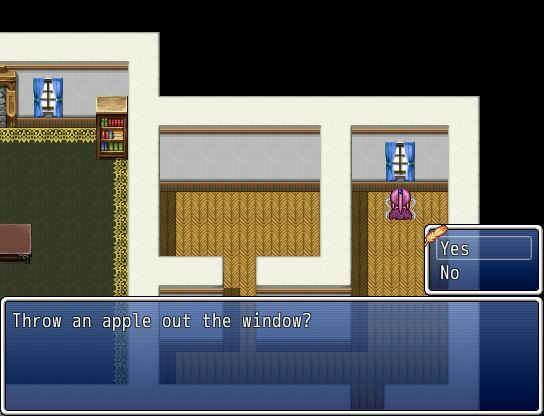 Consequently, our window will be drawn over the sprite. You can verify this by printing out the z-values of each object. What is a good way to make sure that our cursor will always be above a window? I would consider referencing the z-value of the window directly. In the Sprite_Cursor class, modify the `update` method to create a new `update_position` method. We will use this new method for updating x, y, and z values. Now we can see our cursor more clearly! If you were to test the cursor by moving the selection around, you will see that it does not move. Naturally, since we did not write any code instructing it to move, it will not move. How do we know where the cursor should be drawn? The current selection is stored as a 0-based “index”. And so on. This is basically how ruby indexes arrays, because that is how all of the lists are stored in our Window_Selectable and its children classes. Assuming we are working with one column, our cursor simply needs to be offset by a certain amount based on the index. If the index is 0, then our cursor will be drawn at the top of the list. If our index is 1, then we need to offset our y-position by the height of a single line item. We can now move our selection around and our cursor will follow it! At this point, you can tweak the x and y positions to suit your needs if it does not look good to you. Looks pretty good. We have two cursors drawn as we expect! And all we did was change where our code was placed. Let’s look at a different scene. Oops. What’s going on here? The rectangular cursor isn’t drawn, but our custom cursor is still there. What we expect is that our cursor is only drawn when the default rectangular selection is drawn. Remember that each selectable window has an index. However, what happens when “no item is selected”? The windows in the default project have used an index of -1 to indicate that no item is currently selected. So we’ll have to replicate this logic as well. Which you could simplify as if you want. I probably wouldn’t since writing it out seems more obvious to me what’s going on, but that could be just how I interpret code. With some logic written for visibility, our menus will be less confusing. Sort of. Now there’s another issue. Where is that cursor coming from? Which window is it associated with? It is the choice window! When the window is “not open”, it is effectively not visible. Windows have a property called “openness” which determines how “open” it is. The Window class also provides a method called “close?” that indicates whether the window is “completely closed”. You can see more information about this in the help file. Now when a window is closed, its cursor won’t be drawn either. 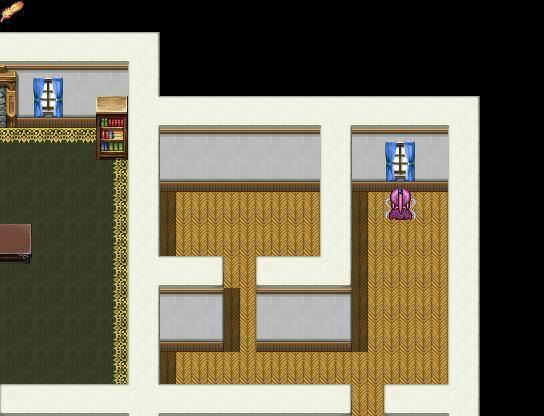 Now if a scene decides to simply “hide” a window when it’s not needed (rather than using the “close” animation), our cursor will not linger around after the window has been hidden. 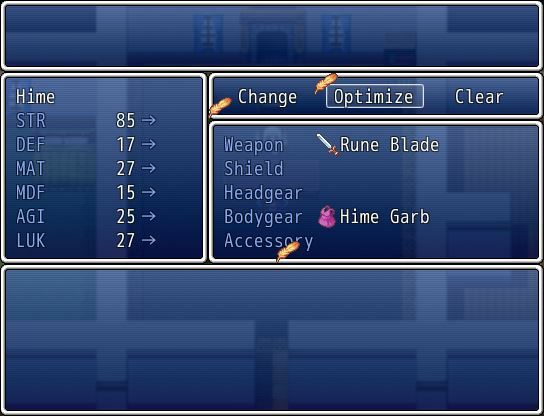 It is wonderful that things are working for us automatically for some other windows without us having to do any work and ideally this is how we would like things to work, but unfortunately RPG Maker is not as ideal as we would like it to be. 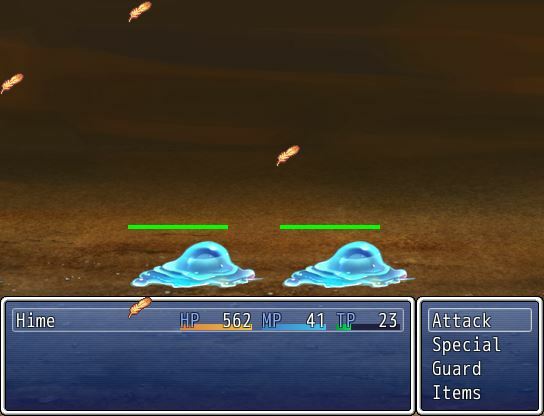 Take a look at the save/load scene as well as the battle scene: the cursors are either not drawn, or not drawn correctly. This means that we would need to go through each scene and their windows to determine how the selection is implemented, as well as what information we can use for drawing our cursors. However, the principles are generally the same: create a cursor, figure out how to update it, and then dispose of it after you are finished. If you have selected a box with your mouse (e.g. “Value” box in the data window pane, or “Register” box), then Mars will not update the value in that box. Mars assumes you prefer to write your own value into that box, and not to allow the assembly program to use that box. Interesting. I never found a need for a cursor. But it’s nice to know how to if you wanted to add one.